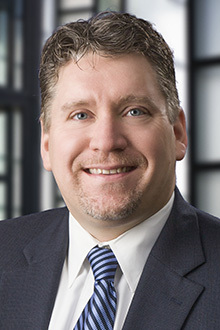 Kurt Dzugay is a partner in the Newark office of Lewis Brisbois and a member of the Insurance Coverage, Bad Faith Litigation, Workers' Compensation, and General Liability Practices. He focuses his practice in the areas of insurance coverage and bad faith, workers’ compensation and general liability. Prior to joining Lewis Brisbois, Mr. Dzugay worked at an insurance law firm, where he oversaw all aspects of litigation in insurance coverage litigation, bad faith and defense of insurers in extra-contractual suits, workers’ compensation defense and coverage litigation, environmental law and general liability defense. He also managed coverage analysis and opinions on duty to defend and indemnify for various first and third-party policies, both occurrence and claims made. Mr. Dzugay also has extensive experience in Workers' Compensation defense. He has handled defense for numerous carriers and TPA’s, including handling special projects where he was tasked to negotiate broad based settlements in situations where employers ceased operations. Mr. Dzugay has also handled various coverage issues involving Workers' Compensation. Mr. Dzugay also served as the Assistant District Attorney for Kings County from 2000-2003. In that position, he oversaw all aspects of the prosecution of various criminal matters from inception to disposition, including intake and evaluation, arraignment, indictment, motion practice, hearings and trial. He handled both misdemeanor and felony matters, as well as the investigation of high-level felony matters.